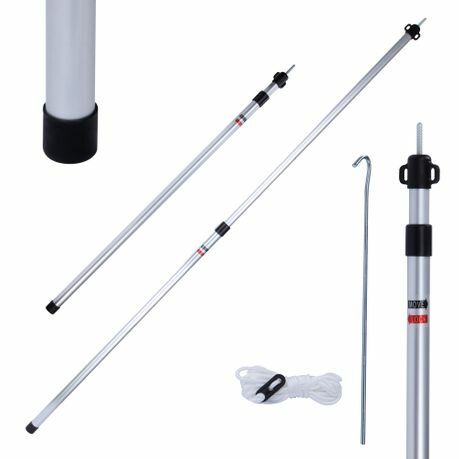 Thanks to the rotating fixation of the awning pole, it can be adjusted quickly and steplessly between 90 and 160 cm. So that you no longer need any additional accessories, a guy rope and a matching tent herring for attachment are included. The 2 segments of the tare rod are supplied already assembled. The segments are fixed by means of clamp fasteners. The clamping screws are loosened or tightened by simply turning them. The clamping device is released by turning it counterclockwise. Thus the desired length of the tent pole can be infinitely adjusted from 90 - 160 cm. 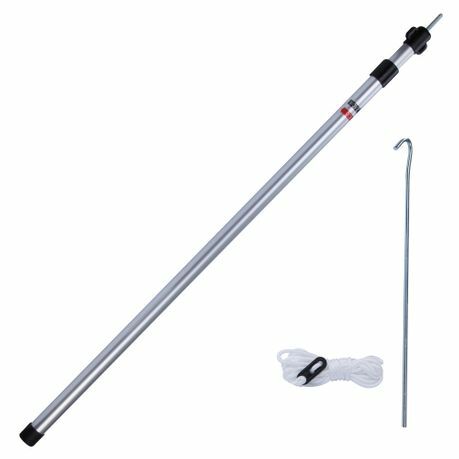 Two-part telescopic aluminium pole for setting up tent, awning, sun sail and tarps. 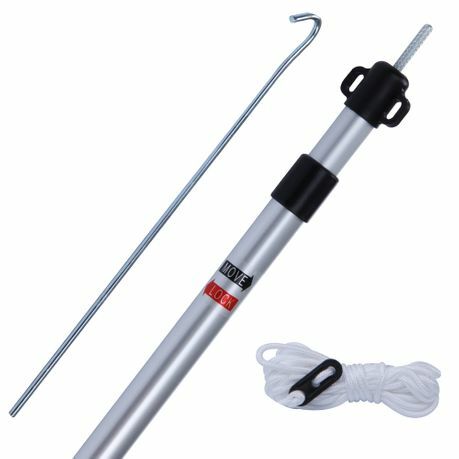 The telescopic rod is made of anodized aluminium. The top end of the tent pole has a lace which is inserted into the corresponding eyelet and guy ropes can be attached to the lace.